Train 168 is an overnight Rapid Train service, Northbound from Kantang in the Southern province of Trang, to Hua Lamhong railway station in Bangkok. Another slightly faster Express service, train 84 also runs overnight from Trang to Bangkok. 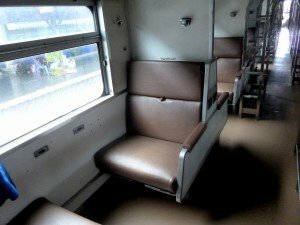 This Rapid train service has a wider choice of the cheaper sleeping berths than the Express train 84 on the same route as it offers the much cheaper non air-con sleepers. Second class Air-Conditioned Sleeper Coaches. Second class Fan Sleeper Coaches. Second class Fan seats coaches. 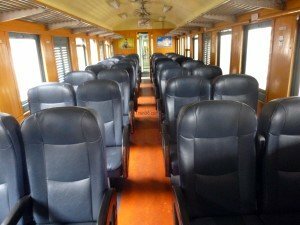 Third class Fan seats coaches. 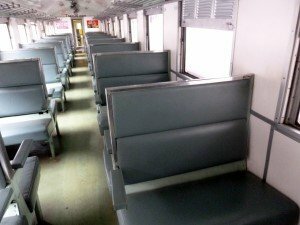 Rapid trains offer the best way to travel on a budget with a bed, as the non A/C coaches are 200 Baht cheaper than the A/C coaches. They are also good for shorter journeys as the extra fees that have to be paid are for the distance you travel, rather than the set fees that have to be paid on all Express and Special Express trains. Bang Sue Junction Station (for connections to North and North-East bound trains and close to Mochit Northern bus terminal). Bangkok Main Train Terminal Hua Lamphong Station. Please Note : The above train schedule is published for information only and times may have changed. Telephoning the SRT (State Railway of Thailand) 24 hour call centre on 1690.